As the 2014 Matric class is fast approaching the end of their school career, many students will be waiting for their letter of acceptance to their preferred university, college or technicon. For many students, late acceptance and last-minute applications are a reality. The Minister of Higher Education and Training recently presented a white paper announcing plans for more opportunities for South African youth. South Africa currently has 27 Universities, 50 FET colleges and 21 Sector Education and Training Authorities (SETAs) that offer approximately 396 449 opportunities. The Higher Education and Training Department is hoping to open a further 12 FET colleges to provide even more opportunities to students who want to choose a practical and work-ready solution. This is all part of the department’s plan to increase the number of enrollments to FET colleges from 500 000 to 2.5 million. In the past two years, more and more students have been choosing FET colleges. FET courses are career oriented and offer students an academic as well as a practical study experience. Right, more people are enrolling at an FET college, but why should I? FET colleges offer a variety of industry-related courses that can help you get a job (so you can study to become something specific – like a builder, hairdresser or a mechanic). If you enjoy practical learning, FET colleges are great, as they have an offer great hands-on practical training to support your academic learning. 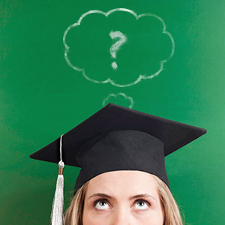 Read another Eduloan article on SAstudy.co.za – six questions about FET colleges. You can also contact Eduloan as soon as you have decided which FET college you would like to study at and one of the Eduloan consultants will be able to assist you in getting financial assistance to realise your dream.